…and I bet you thought it would be zucchini. Truth be known I’d asked someone to write a guest post, half an alphabet ago. He offered, but alas, seems to have disappeared into his adventure. So I’ll share my adventure with food! 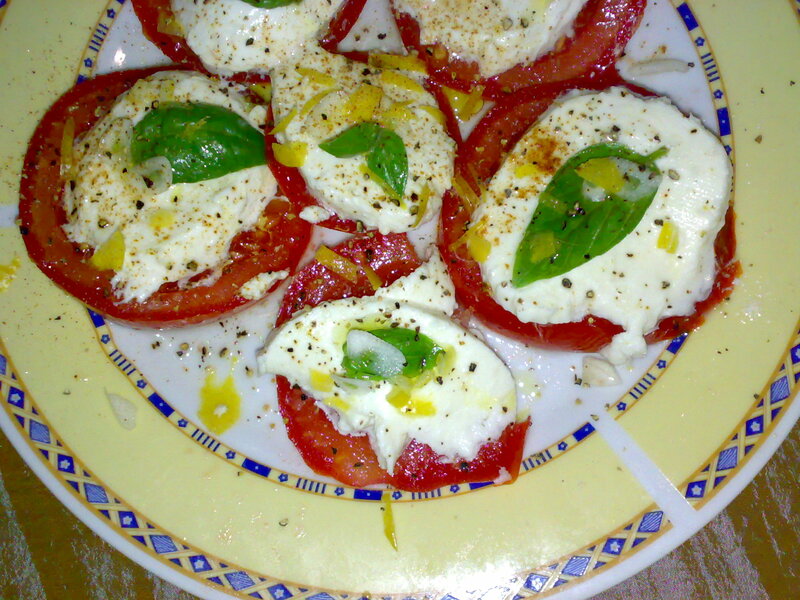 Fresh mozzarella on sliced tomato with lemon zest. a twist on mozzarella tomato, add a little zest of lemon. squeeze of lemon, glass of wine…. Girl, this looks too good! It looks like Christmas! Did you make up that poem? I love it! Still haven’t listened to your track!! I’m going to do that this weekend. Things should calm down a bit. Now that you’ve reached Z, what will you do? The tomato mozzarella thingy with the lemon zest surprised me. I invented it as I needed a Z topic and yes I wrote the poem to make the whole thing a bit more interesting. You saw my answer to what next on the Flash Fiction Friday post.